In the video, the pilot, who has not been identified, could be seen with one leg already in the open cockpit window. A pilot was spotted trying to squeeze into the cockpit of a plane through the window after apparently forgetting his keys. Hilarious footage of the incident, which was posted to Twitter, has already had over 12,000 views. British Airways pilot Jonny the Pilot posted the footage to his Twitter account with the caption: "When you’re running late for work and you forget your keys… "
Using his left arm, he tried to pull himself through – but while trying to get his other leg through, the platform he was standing on moved and he had to start again. Seeming to be stuck, he then looked inside, presumably for another set of keys, while another member of the flight crew walked up behind him to help. The video was filmed at Heathrow Airport, with social media users shocked and confused by the pilot&apos;s actions. One Twitter user asked if it was common practice, with another responding: "I’ll venture to say that’s only done when the bulletproof door gets locked, and you can’t remember the code." 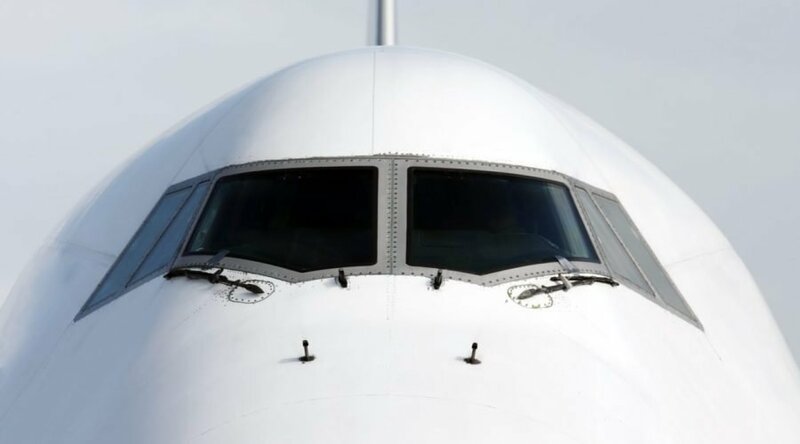 An Instagram user also confirmed: "Commercial airplanes don&apos;t have keys on their doors." According to aviation website Stack Exchange, "Small planes tend to have keys, but not all. The bigger the plane the less likely a key is needed and once you get into jets, I can&apos;t think of any that need keys for engine starts."